Hi Duncan, we have received the online pictures and 1 word describes them… WOW…. they are stunning and you captured all the special moments on our special day. Everyone commented on what a great guy you are and we had a great laugh with you. Once again thank you. We had chosen Duncan as the photographer for our wedding as we were looking for a photographer that would be able to capture our day in a style that we felt reflected us as a couple, and were instantly impressed with Duncan’s previous work. It was important for us to find the right photographer, as I am sure it is with all couples, as the photos from the day were as significant as the day itself……… And we have not been disappointed!! The end result has been a set of pictures that has truly captured the essence of our special day, and we could not be happier with the photos. Duncan was able to spot and capture those precious moments from throughout the day, that will be our memories forever. We chose Duncan for his ‘natural’ style of wedding photography and by that I mean the way he captures special moments without people realising he’s even there. His mix of couple shots, guest shots and family shots – all in his natural style – have made for a beautiful storybook album. We also worked with Duncan on some more ‘posed style’ shots he took at sunset and they are just stunning!! Duncan was with myself and our party from 11 in the morning, right through to the evening and he was just like another guest. His style of being able to direct the party, but in a way that was not offensive, meant that he put all guests at ease and we were able to get all the shots we wanted. Hi Duncan, we’ve just spent the evening looking through our wedding photo gallery and are in absolute awe, you captured our day beautifully and we’re very grateful we had you there. We’ve already recommended you to a couple of our friends who’ve just got engaged. We couldn’t have asked for any more, thank you so much. 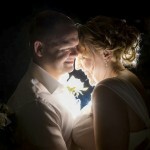 Just received my wedding photos from Duncan Cox Photography and all i can say is…WOW!!! Duncan captured every emotion, giggle and tear. He made us feel as ease throughout the whole day and every guest commented on how friendly yet professional he was. Thank- you Duncan you have given us beautiful memories to treasure forever. We just wanted to say a massive thank you to you for the amazing wedding photography that you took of us all. You made the photos of us two (the most awkward of posers!) look totally effortless and natural! Everyone has made such lovely comments about them, and you have captured those special moments beautifully. We had an amazing day which we will never forget, thank you for being part of it. We received the slide show and photo DVD’s today and just wanted to take this opportunity to thank you so much for blessing us with your talent on our big day. It is difficult to find the words to say how wonderful we think the pictures are. They are so beautiful and they are works of art rather than just photos. Not only are your photos amazing but we also wanted to thank you for your support during the big day, always being on hand for comforting and problem solving (such as the many crying incidences and the button hole pin!!). We are privileged that you were a part of our day and now we have truly cherished mementos thanks to you. We would not hesitate to recommend you to anyone and will continue to do so! We look forward to seeing you at Bonnie and Michael’s wedding next year! Hi Duncan, just received the storybook the other day. Asma and I would like to say a big thank you for being our photographer and the photos are just fantastic. Hope you’re enjoying the Cyprus sun! Hey Duncan, we received our story book, thanks! It is beautiful, we love it! Your photos are amazing. You really captured all the best parts. My family and friends were all raving about you too, saying how you were everywhere but never in the way and always really friendly and polite! Thanks for making our day, you were a pleasure to have around! Hi Duncan. We’ve got our storybook now and completely love it!! It’s just amazing. Thanks you again for all your beautiful photos, we’re so glad we had you as the photographer for our wedding day! Without a doubt, hiring Duncan was the best wedding expenditure we made! The champers will get drunk and the wedding dress will eventually get packed away, but we’ll have Duncan’s pictures for a lifetime. Not only does he capture classic moments in time, he manages to capture people’s moods as well. He’s an easy going guy with a real passion for what he does, I can’t recommend Duncan Cox Photography enough. Hi Duncan, Thank you so much for an unforgettable photo session on our wedding day! The photo album was the most important thing to us, except getting married of course! We wanted it to reflect our special day the best way possible and it did, even more then we expected! There are no words to describe our appreciation. It is incredible how you captured all the details and the emotions from every possible angle. Shortly after the wedding we got the most original and the most beautiful wedding photos that I have ever seen! And now we have the best memory for life. I don’t even know where to start in order to describe how much fun we had that day… He knew exactly what to do, where and how to put us in a pose in order to make the best photos. Not only had the photos came out amazingly perfect, beyond all our expectations, we also had a blast that day, unforgettable like a wedding day should be. Duncan, Just wanted to say how grateful we are to you, for doing such a wonderful job at our wedding! We couldn’t of wished for a better photographer for our wedding day. You were calm and funny, but most of all you got on brilliantly with all our guests keeping them relaxed for the pictures. The pictures themselves are amazing, and the storybook has been put together perfectly telling the whole story of the day to those who could not make it. Thanks again and take care.